Older and younger Americans differ substantially in their responses to these questions – especially when it comes to TV. 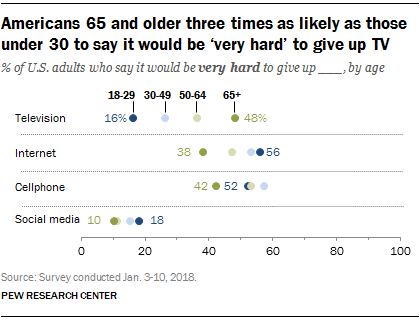 Around half (48%) of those ages 65 and older say it would be very hard to give up their TV, three times the share of young adults (those ages 18 to 29) who say the same (16%). 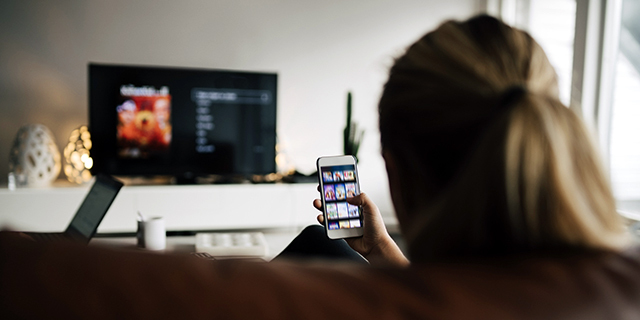 Previous Pew Research Center surveys have found that young adults are much more likely to say that the primary way they watch TV is through a streaming online service, rather than a traditional cable or satellite subscription. Conversely, young adults who use various other technologies are more likely than seniors to say it would be very hard to give up their cellphones (52% vs. 42%), social media (18% vs. 10%) or the internet in general (56% vs. 38%). 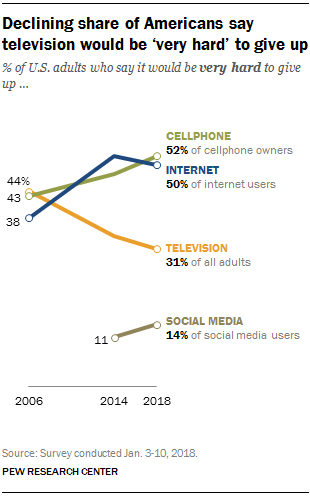 Among Americans overall, sizable majorities now own a cellphone or use the internet, and roughly seven-in-ten use social media, according to surveys conducted by the Center.